Pacific Market Research is pleased to announce the release of The Power of Relationships – How and Why American Adults Step Up to Mentor the Nation’s Youth. This study, commissioned by MENTOR: The National Mentoring Partnership, a national organization dedicated to supporting and promoting youth mentorship, provides the first in-depth look at attitudes towards mentoring and the mentoring culture in the United States. 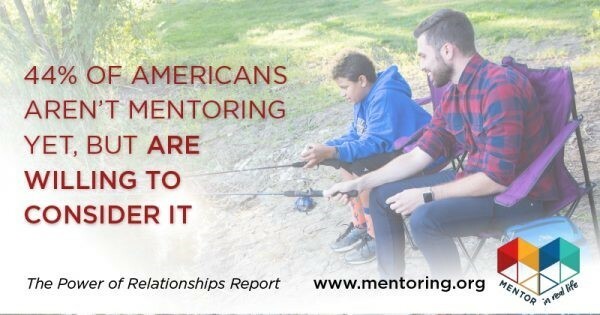 The report explores Americans’ motivation to mentor, the benefits mentoring offers society, and the challenges experienced by those who participate in or desire to join the mentoring movement. Also covered is the extent to which American’s believe mentoring should be prioritized by our elected officials. Pacific is honored to have been chosen as Mentor’s research partner for this pivotal study, and we are excited to share what we found. We hope this effort sparks conversations as to how and why we should, as individuals and collectives, build upon a mentoring culture in our everyday lives. At a time when our nation seems to be so bitterly divided, we take comfort in how many of those we spoke to were unified in their belief in the power of the mentoring culture and its contributing role in offering a hopeful path toward a healthy society. If you would like more information on mentoring youth in your community, we encourage you to check out mentoring.org – for resources, referrals, and ways to get involved.